It seems like every time you turn around there's a new study telling you to do something different — drink more coffee; n,o drink less coffee; milk chocolate is better for you; no, dark chocolate is better for you; one glass of wine is good for you; no, wine will kill you. But if you feel like it's all just too much, you're not alone: according to a new study, there are entirely too many new studies. In fact, all these new studies are getting to be a problem, the new study says. So is it part of the solution, or... well, you probably know where that's going, right? 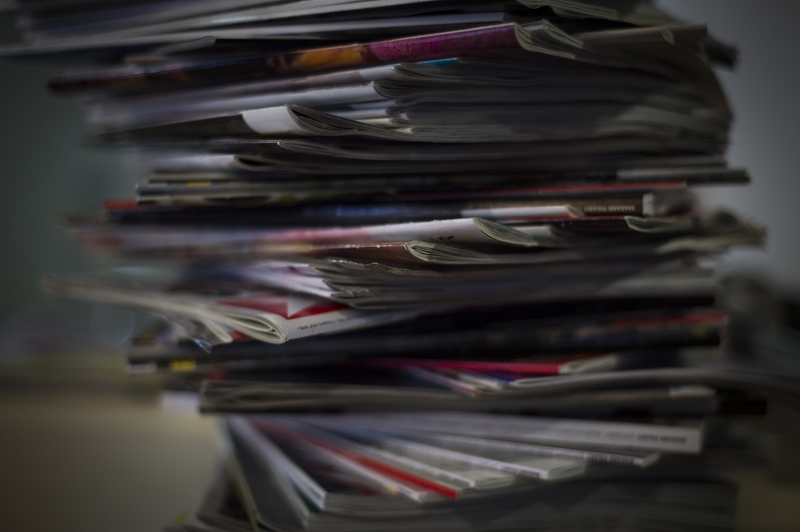 According to research from professors in Finland and California, "the exponential growth in the number of scientific papers makes it increasingly difficult for researchers to keep track of all the publications relevant to their work." In other words, there are entirely too many studies for anyone to possibly keep track of anymore, even the experts. And aside from proving once and for all that we shouldn't even bother trying to keep on top of how much red wine we're supposed to be consuming lately, it's also a bit worrisome for the scientific community. In their paper, entitled "Attention Decay in Science," the researchers explain that as the number of scientific papers published each year increases, the attention that scientists are able to pay to each paper individually decreases. Typically, they write, once a paper is published, the number of times it is cited in further research increases for a few years, then declines. As time passes and more and more papers are published each year, papers are now "peaking" much earlier, declining much faster, and receiving fewer citations overall, suggesting that experts just aren't able to fully keep on top of all the new research being published in their fields. Which is obviously not good for science and scientific progress. If no one is able to keep up with all of the relevant information, how will science continue to be awesome? As unfortunate as this news is, it isn't entirely surprising, given the sheer volume of scientific research being published every year — not to mention the "publish or perish" mentality at most universities. If we're whittling down research we don't need to see anymore, though, I have a few suggestions. Who else thinks we could stand to get rid of these somewhat useless studies? In a study that must have been thought up by a man, it turns out that regularly wearing high heels can cause you to have foot problems later in life. To any woman who has ever attended a wedding, this just sounds like common sense. Feet are not meant to support weight in that position. This is not news. Inspired no doubt by some recreational activity involving alcohol, researchers decided to find out if chickens prefer attractive people. Even weirder, they do! Now what anyone expects to do with that information, I do not know. Scientists decided to take a look at the kind of health problems you can run into if you routinely lower a sword into your throat. The results were entirely predictable. It turns out that men do not like slowly losing all their hair. And, of course, it was very necessary that science figure this out, since the presence of comb-overs, toupees, and numerous advertisements for dubious hair loss treatments could not tell us that. We get it: Science likes to present us with numerous, often contradictory, studies about the health benefits or risks of coffee and red wine and chocolate. But enough is enough! How about we all just accept that we're going to have these things in whatever amounts we want and leave it at that, huh? Because if the onslaught of coffee/red wine/chocolate studies is anything like what scientists have to deal with research in their field, it's really no wonder that they feel overloaded.